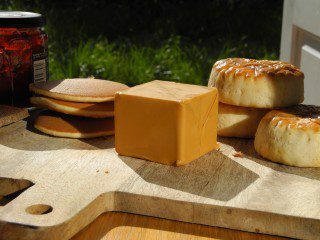 Having tried out Norwegian classics like brunost and kjøttkaker, the traditional stew, lapskaus, is next in line for our resident food writer Luke Slater’s column. 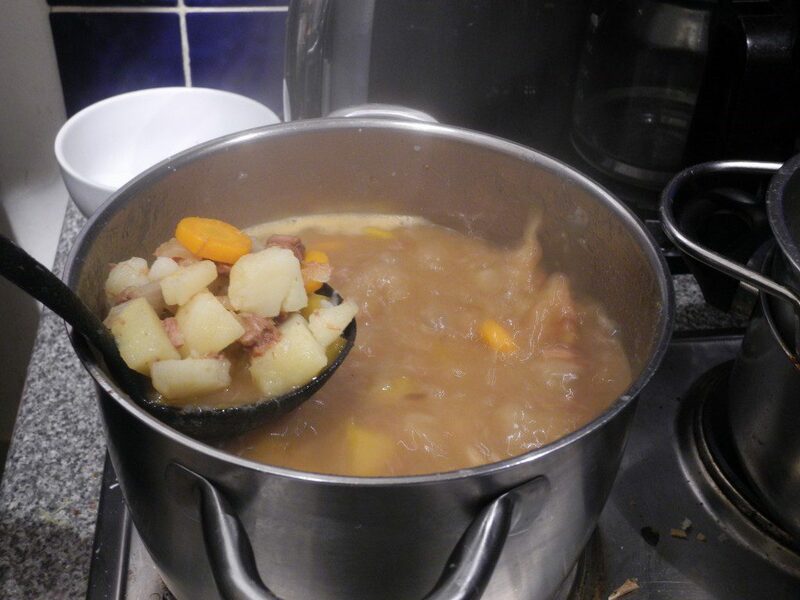 Autumn or winter are seasons associated with stews. So, it’s a little risky that I attempt probably a classic Norwegian stew, lapskaus, in the middle of June. This time last week it was touching 34 degrees in London, after several days of similarly sweltering heat. Clearly, this is not prime weather for stewing, unless you want to do as much stewing as the meat and veg in the pot. In the end, I got lucky with the weather and was ‘blessed’ with weather more appropriate to late-September than midsummer – a cool, dark evening in which it rained steadily until well into the night. Almost perfect. 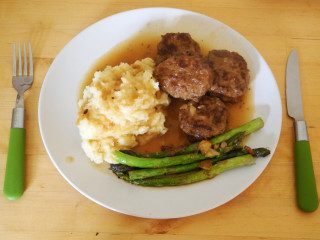 I will freely admit that when sourcing the recipe for lapskaus (not to be confused with the German hash of labskaus), I was a little underwhelmed with the basic ingredients. 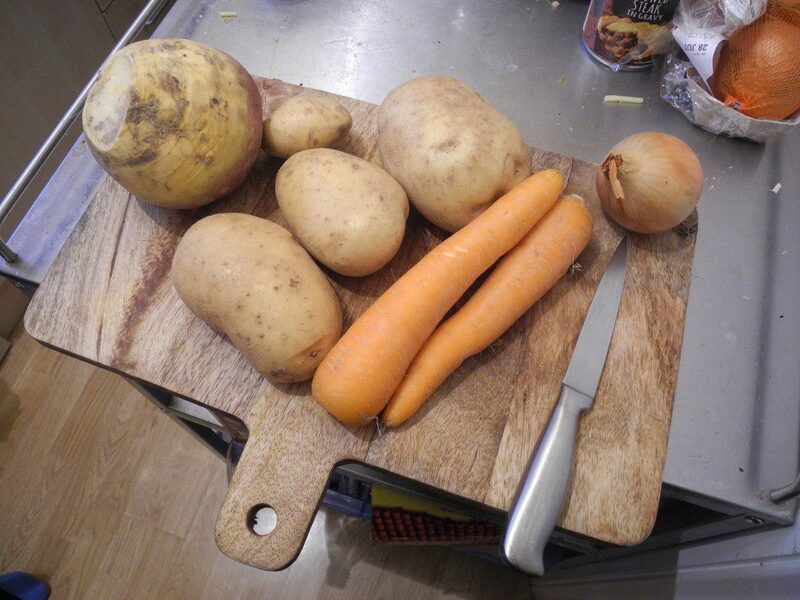 Potatoes, swede, carrots, beef, onion and – most excitingly – salt and pepper. But ultimately, it’s a stew and an historically utilitarian dish aimed at feeding the most people for the lowest cost. 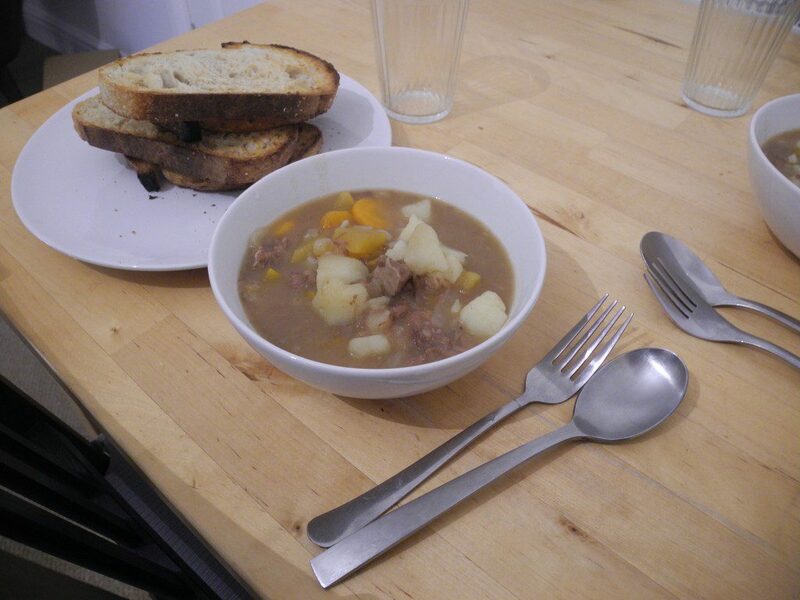 An interesting thing about lapskaus is that it’s very similar to the English dish lobscouse (or just scouse) a stew apparently popular with sailors in Northern Europe and also the origin of the name of the dialect of Liverpool, where it was probably served in abundance. Patience is at the heart of any stew-making and lapskaus is no exception. Once you’ve chopped the harder vegetables and put them in a broth, you wait. Then you chop the potatoes and put those in the broth and wait. Attend to it, of course, but no need to go overboard. During this process, I went from focusing on the cooking to awakening to the increasingly strong smells of the meat and vegetables stewing in the broth. By the end of it I was dipping the nearest bread I could find in the thickening broth to make imitation dumplings. I then became very eager to get the contents from the pot into a bowl and then into my mouth and it wasn’t long before I did. The stew, which is thick, surprisingly flavourful, hearty and incredibly filling demands decent bread. I’m not sure if it’s traditionally Norwegian, but in any stew that I make, mopping it up at the end with bread is the best reward for the time spent making it. The second best reward is saving some for lunch or dinner the next day. I did exactly that.